Winter is coming to an end and it’s time to start thinking about all those maintenance things that need to be done at our homes come spring. So, if it’s the year to have your septic tank serviced, consider doing it in the month of April. 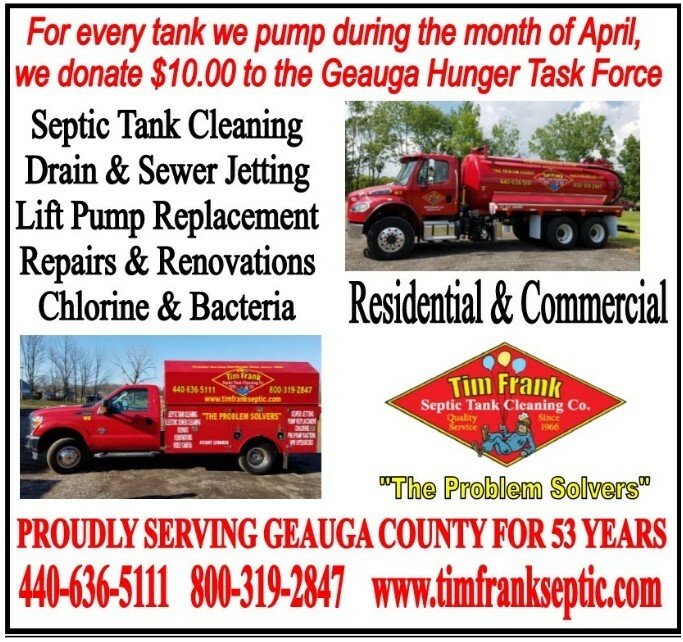 Once again, Tim Frank Septic is pledging to donate $10.00 for every septic tank they pump during the month of April to the Geauga Hunger Task Force. In the last 5 years, they have been able to donate over $10,000 to the Geauga Hunger Task Force. Their goal this year is to exceed last year’s $2500 and be able to donate $3000. The Geauga Hunger Task Force began in 1977 to serve the emergency food needs of Geauga County. In 2018 – over a half million meals were served to those in need in our communities. 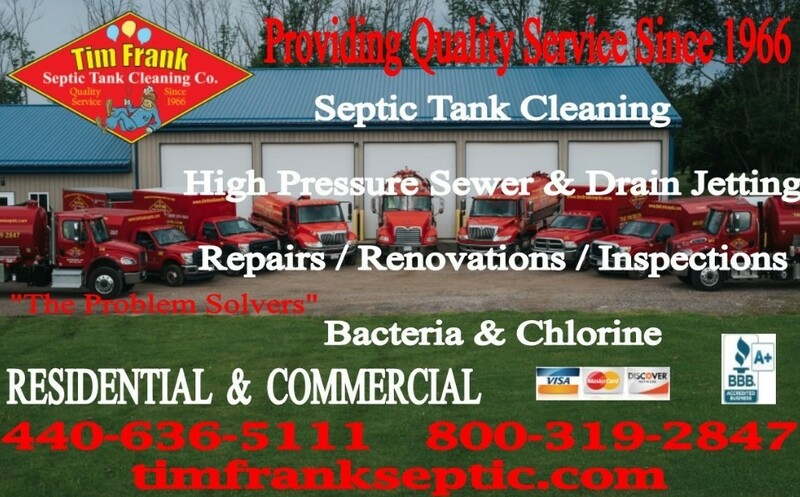 Tim Frank Septic Tank Cleaning Company has been proudly serving Geauga County for the over 53 years providing septic tank cleaning, high pressure sewer jetting, lift pump replacement, system repairs and more. For more information, visit the Tim Frank Septic Tank Cleaning Co. website or call 440-636-5111.